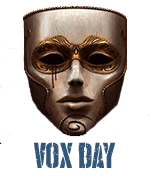 Vox Popoli: Have you no shame, sir! Have you no shame, sir! Once a butthurt gamma, always a butthurt gamma. They can never resist the chance to take a shot at the individual who gave them terminal badfeels. The rise of the Alt-Right and the decreasing utility of shame is a serious shock to the cucks and virtue-signalers as well as to the SJWs. Don't fear their disapproval, but to the contrary, court it. Amusingly, when I click the retweet from your timeline, I get a trigger warning before I am permitted to soil my eyes with such loathsome content. I need a safe space. Paul is turning into a living legend. Can he be put in charge of the FBI? Can Trump hire him? What Mueller was to 911 insiders. Covered for them and still is. Now it has all come back to bite everyone. What didn't get dealt with then is rising like their phoenix. Tower Jumpers remembered. Bury them well or it gets even worse. An attempt at a slur for merely noticing that anti-racist rhetoric is always anti-white. Is popehat and the other loon really anti-white? And can anti-racism be saved from such behavior? The gamma still thinks that his offence means that he can force us to change. The fact we don't care makes his bottom sore. The fact we laugh makes him weep. And the fact we are antifragile and appealing to the authorities does not work makes him double down. For this, no pill exists. The cure is painful. Repentance. For now, this person gets points for virtue snivelling. But as the winds change and their kind realizes being 'nice' is repulsive to common decency (not to mention the jihadis), any shift away will be met with scorn by the alt-right. Far away from any influence and power. Would that be PJW starting to edge over to the dark side? I'm guessing a Gamma Cuck will probably, 'reluctantly', join the Left before admitting they were wrong about the Alt-Right. The kind of traitor that if they must choose either Sharia or National Socialism will begin learning Arabic. To quote a famous canadian blogger: "not showing up to riot is a failed conservative strategy"
Watson is great, a true bottle of vinegar in the wound. I'm always fascinated by the cucks ability to engage in PC, it seems that the less the need for PC the more they insist on it. In the end it is all sick virtue-signaling, I'm beginning to think that virtue-signaling is together with marxism one of the symptoms of some kind of mental condition, some kind of induced dementia. He's not white, he's a democrat. ZhukovG wrote:I'm guessing a Gamma Cuck will probably, 'reluctantly', join the Left before admitting they were wrong about the Alt-Right. Dhimmitude is just not that threating to them. They are already dhimmi's to the left and feel that makes them superior. Instapundit retweets a lot of people. From all over. Tom is just a little whiney kid. Send him back to mommy for some milk. I fail to see why Tom thinks that Paul Joseph Watson is beyond the pale. I recently came across a post by a ex-girlfirend. She's a liberal in some ways (but pro gun rights) and she posted a disagreement with Paul Joseph Watson. The point is that she's a liberal but doesn't think that Paul Joseph Watson is beyond the pale. Is there a nick name for popehat already? Littlest Pontiff? I loath infowars but I like Watson. I would like him a lot more if he got away from that moron alex jones. PJW really needs to can it with his whole "Conservatism is the new counter culture" nonsense. It just sounds stupid. Don't fear their disapproval, but to the contrary, court it. I wonder, if they knew we were going to do this 100% of the time, do they have the emotional capability to use reverse psychology? Shame only works when you have something to lose. Guilt always works, but they'd have to understand it to use it and the postmodern mind has NO PLACE for guilt. They are already dhimmi's to the left and feel that makes them superior. Insta's wife follows Vox (and vice versa since Dr. Helen is on Alpha Game's blogroll). I think she's more of a red pill person than he is, actually. Since when is Paul Joseph Watson a white nationalist? Ransom Smith wrote:Send him back to mommy for some milk. "They're gonna send ya back to Mother in a cardboard box. You better run. Run like hell." I wonder if that's the Tom Nichols who wrote that stupid book- The Death of Expertise. It's one of those pathetic talking points where narrative pushers try to explain why no one wants to listen to them anymore. Meanwhile, there are plenty of experts with expertise who don't do the narrative. The way I found out about him was that some one actually said 'death of expertise' at work. It sounded like something I should google. At the time this guy had an essay up and then later he came up with a damn book. It was probably salable because of the crap ton of people who pose as professionals and experts on a daily basis. They just can't accept people would stop listening to them because they are failures. I find PJW's voice very annoying and his arguments to be basic. I don't really get his appeal. Seth Schueler wrote:I find PJW's voice very annoying and his arguments to be basic. I don't really get his appeal. Because people are so unused to hearing anything even close to truth, that's not couched in cuckservative BS, he sounds like a brave and honest man to them. August wrote, "I wonder if that's the Tom Nichols who wrote that stupid book- The Death of Expertise. It's one of those pathetic talking points where narrative pushers try to explain why no one wants to listen to them anymore. Meanwhile, there are plenty of experts with expertise who don't do the narrative." What are these two primroses doing following Nazi Instapundit? I find PJW's voice very annoying and his arguments to be basic. Making him unique among political personalities, amirite? Nate wrote:I loath infowars but I like Watson. I would like him a lot more if he got away from that moron alex jones. Is it not hilarious to watch him obsessively looking over his notes when Alex starts chewing the scenery? @21 Agree. The effective elements of the right should distance themselves from the word "conservative" as much as possible. We are not those worthless catamite traitors, and we don't want to be associated with them. praetorian wrote:I find PJW's voice very annoying and his arguments to be basic. Is it white, or maybe argyle, with just a hint of color? Crusty? I've now been declared a right wing hate group leader by American News X. T shirts incoming from Crypto Fashion! I liked Texit Machine's comment - "I've stumbled into Middle School Twitter"
I follow Tom Nichols on twitter, or I did. For some reason, he now has me blocked. I think he blocked all of us who follow Vox. It's kind of hilarious, what a bunch of cucking pussies. Presumably, trying to keep him from going over to the Dark Side of the Alt-Right. There's an undeclared war on for the minds of un-cucked conservatives. We're fighting it with truth, humor, and sometimes hate and ridicule. The other side is fighting it with seriousness, respectability, shaming, and nagging. Guess who wins? 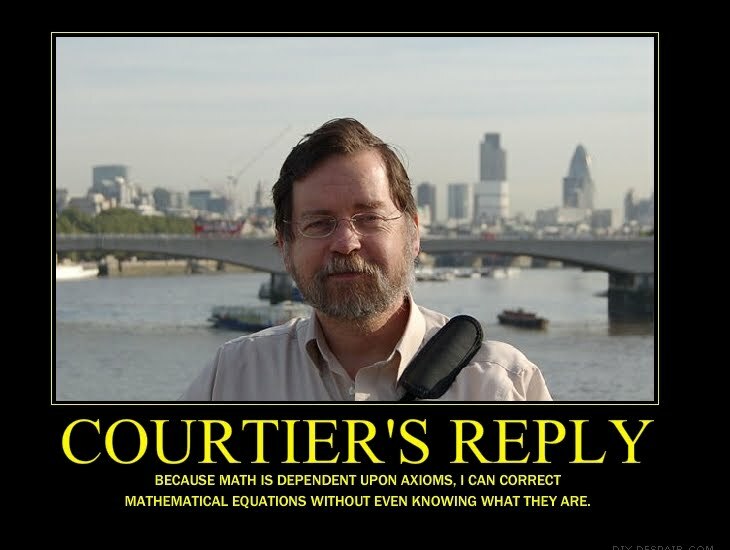 Tom Nichols is a fool who believes other low-IQ credentialed fools should rule the planet. I remember he made that stupid "piloting an airplane" argument, which is an extreme categorical error. Being an idiot, we would never see how it's flawed. He's a neo-Mandarin cuck who really can't see that the pilot is the Nationalist and the bureaucrat with a degree in journalism should fly the plane. Nichols is a fool and Popehat doesn't want to be unfriended on Zuckerbook. They're worthless humans. It's a pretty easy test for men - cucks will shrug to nagging shrills and go "what did I do wrong?" Anyone with testes will go "nagging me over a washcloth? Pfft" and leave. Er. "Bureaucrat...*shouldn't* fly the plane." You can't swing a dead cat in NYC without hitting a gay jew with fantasies about licking NAZI boots. That's the issue. The optics of conservatism, which is an utterly failed and flawed movement. He's too hesitant to go full Alt-Right, and holds back. When he needs to charge head first like (I think he's from Sheffield?) a pub brawler would. looking at Popehat is like reading your college journals from the 90s when you had all the answers to everything. It's embarrasing that I used to like that guy. Ah well...if it wasn't for him, I'd never would have been exposed to ClarkHat, who would have never encouraged me to checkout that big scary Vox Day and his Evil band of Evilthinkers. By the way VD...the gate to your website is so narrow. The road to Popehat, Whatever, Gawker, ect is sooo much wider and easier to trod. Quite possible. I suspect that they are each red-pilled in different areas; he's red-pilled about corruption of both politics and academia, status-signalling, Islam, et cetera, while she is red-pilled about feminism, the war against the family, and the relations between men and women. That is as it should be, I suppose. Pattern recognition is a great sin, cucks agree. Nichols, the author of The Death of Expertise, is incompetent or more accurately too arrogant even in his chosen field of Russia studies. He seems to think Russia is alternatively stuck in 1975 or 1995. There's a reason he deleted his blog The War Room, and relies on mostly dim witted cucks and #MuhRussia Dems as his base now that his fired for junk pics selfies pal John R. Schindler cultivates that constituency (aka probably half DNC bots). “The Russians aren’t going to do a damned thing. The Russians not only will not go to war over Assad, they can’t.” – Tom Nichols, United States Naval War College Professor, “The realities of the coming Syria war“, August 28, 2013. Oops! Now ya'll know why he relies so much on snark and high cuck dudgeon. Interesting. When YOU disagree with someone, you're an alpha shitlord. But when someone ELSE disagrees with someone, they are a butthurt gamma. Seems convenient.